As a gardener, it is important to know your “zone”. In 2012, USDA made some revisions in the Hardiness Zone Map for the United States. This zone designation refers to the average annual extreme minimum temperature (1976 to 2005) of 10 degrees to fifteen degrees. 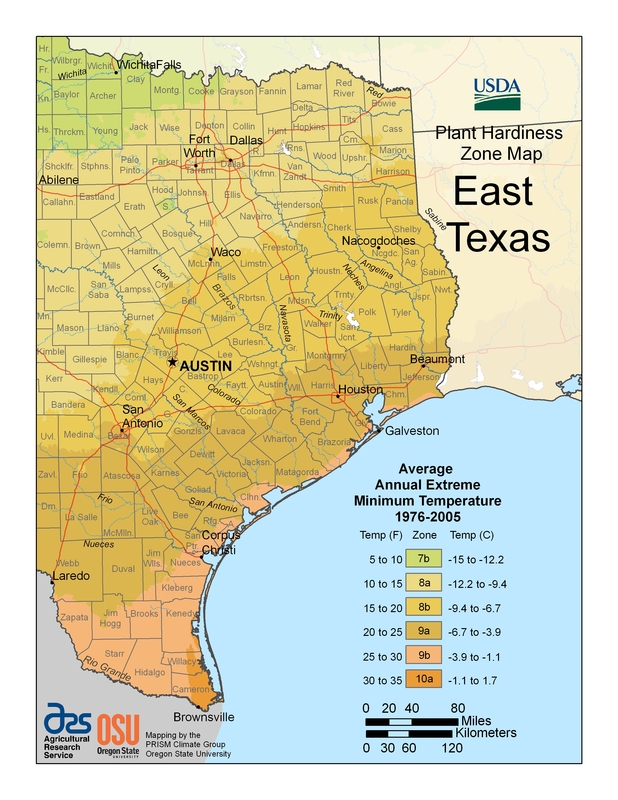 In other words, the zone refers to how cold hardy plants will be when growing in our North Central Texas area. In Texas, the Heat Zone designation is also important. Be sure and refer to that page as well! Below is our section of Texas which shows that Rockwall County is in Zone 8a.